Stimulating particular points on the hands can balance emotions. This is a Japanese art known as Jean Shin Jyutsu. It is an effective alternative medicine. It is about balancing the body`s energy by stimulating specific points on the hands and fingers. It can help the physical and emotional health. 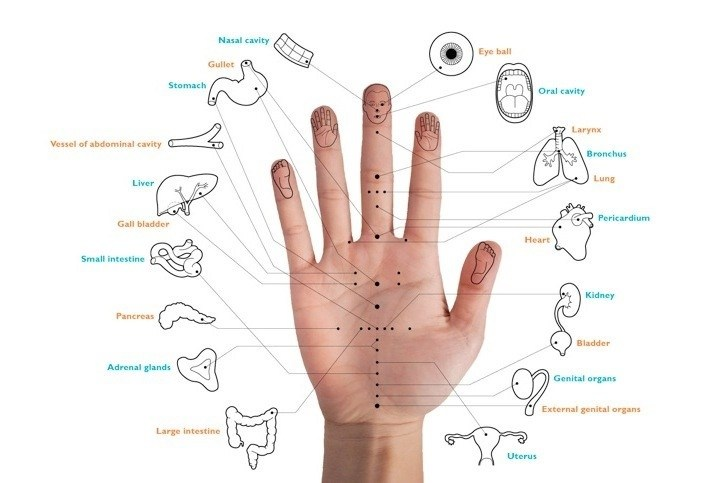 The main principle is that each finger on the hand is connected to a specific organ in the body. With pressing the specific point it relates to a specific emotion. The procedure is simple. Apply pressure on a specific finger for about five minutes and at the same time breathe deeply. Massage each finger on a hand and harmonize the body. You need to apply pressure on each finger separately and harmonize the entire body. Here is a list where each finger is connected to each organ. Physical symptoms: skin issues, abdominal pain, headache, nervousness. Physical symptoms: digestive problems, toothache, muscle pain and back pain. Physical system: blood circulation problems, menstrual pain, decreased vision, fatigue, migraine, frontal headache. Physical symptoms: noise in the ears, respiratory problems, asthma, skin diseases, digestion issues.